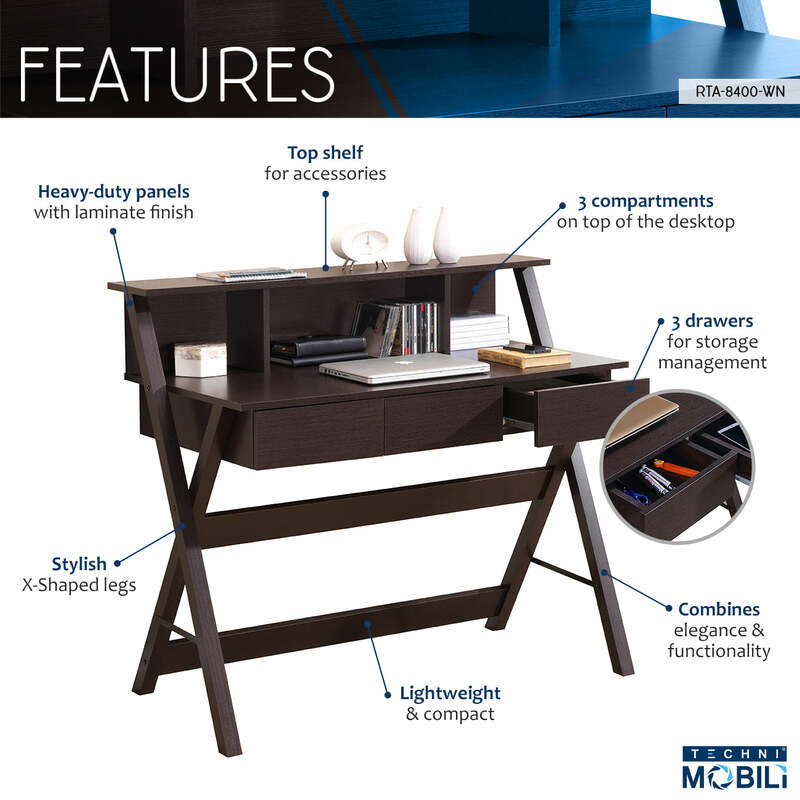 This Techni Mobili Writing Desk combines elegance and functionality while providing plenty of storage space for accessories. It Includes three drawers plus three compartments on top of the desktop and a storage top shelf. The spacious desktop rests on X-shaped legs making this desk lightweight and compact. This beautiful and classy desk is made of heavy-duty particle board panels with a moisture laminate finish. While being great for organization, it provides enough space for a laptop, a tablet or just as a writing workstation. Color: Wenge.